Welcome to a Lifestyle Above All Others! 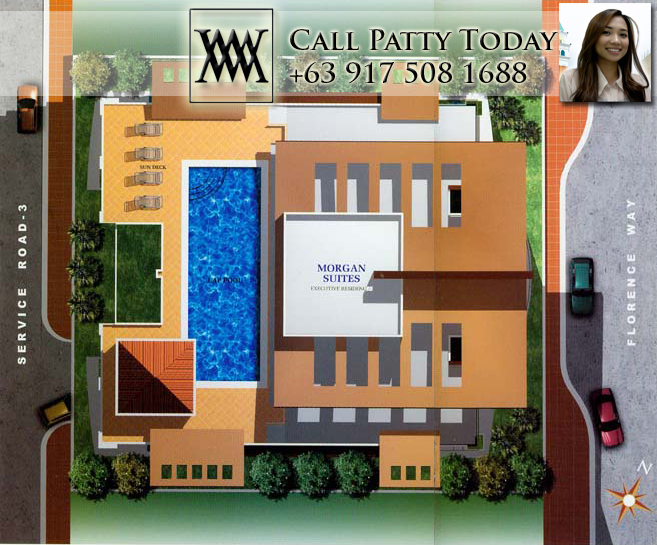 Be one of the first few to live in the newest, most coveted piece in Mckinley Hill. The 22-storey tower of Morgan Suites is perfect for a small family, young couples, urban professionals, and investors alike. Choose from 23 sq.m to 34 sq.m executive studios to 40 sq.m to 47 sq.m 1-bedroom suites, designed meticulously to suit your taste. Enjoy and rejuvenate your senses with its amenities at the roof deck. Morgan Suites is simply an address that draws you in completely. 23.00 – 25.00 sq. m.
are there still available units with one bedroom? are still available units with one bedroom? HI. Im looking for a studio type unit which is for rent for about two month by my american friend who’s here in manila right now for medical check up and therapy.. Please give me message and the rate. Looking forward to hear from you ASAP. How much is the latest price of 47 sqm 1-BR unit? How much is the latest price of studio unit of Morgan Suites? Hi Patty, good mornin! 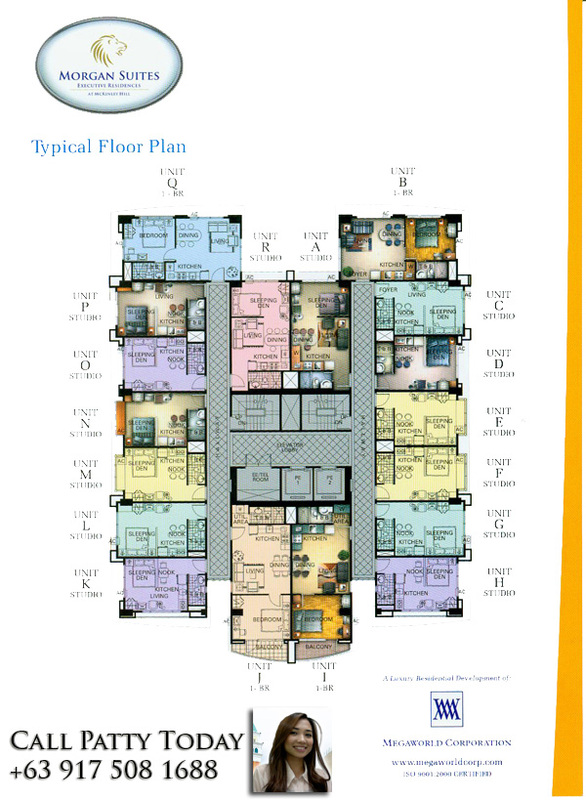 I have a 1 bd rm unit in Morgan Tower 1 which I want to dispose at current rates and RFO na. Please contact me if you have interested clients. Btw, it comes with parking space. Thanks and God bless!